Interior Work Van Cargo & Storage Solutions. Complete Set Up For The Heating And A/C Professionals. 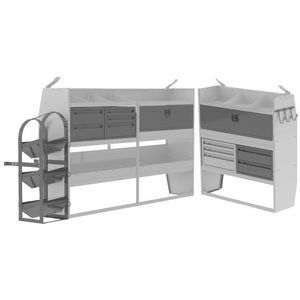 - Door Kit For 42” Wide Shelf Unit x 2 - Refrigerant Tank Rack.